What is Geotargeting for PPC? Should I care? The short answer to the question above is pretty simple, and is normally phrased along the lines of ‘because you want your Business to make money, don’t you?’. Pay Per Click is great because of the way it can generate you quick results at a closely monitored cost. And, if you want to make the most out of your PPC budget, then it’s high time you look closely at your geotargeting. Let’s dig a little deeper. If you’re unfamiliar with the term, relax. It’s not as complicated or as techie as it sounds. Geotargeting, also known as location targeting, is simply a way of determining which geographic areas your Ads will be shown in. Say you’re from Brisbane and go online to find someone to wash your SUV, you’re likely to arrive at a list of car wash companies servicing your area. Information on the best wash and valet in Germany is likely to appeal only to the purest of petrolheads. If you’re a Small Business needing to target consumers in a particular location, geotargeting just became your best friend. Why set up your location? Again, it’s all about finding your potential Customers. For instance, if you’re selling surfboards, why not target coastal areas where you know demand is appreciably higher? It might cost you less to target Outback Australia with your Ads… but how much of your outlay are you going to recoup? You’ll increase your chance of a healthy ROI by ensuring that your Ads are shown in the appropriate locations. Don’t think that geotargeting means you necessarily have to get super specific. You can go as broad or narrow as you like, state by state or postcode by postcode. It all depends on what you think is going to boost your Business. In many industries you’re going to find that certain locations are your most profitable. Geotargeting gives you the ability to tweak your Advertising so that you are attacking these areas as much as possible. If you’re seeing great results from a certain geography, it’s probably best to keep allocating as much budget as possible to these areas until you begin to top out. With geotargeting, the opportunities are endless when it comes to competing with your industry competitors. If you feel your competitors are strong in a certain area due to local Advertising, a physical store or outlet, or anything else, geotargeting for PPC is your chance to level the playing field. Make sure you’ve got a set of ads that appeal to your potential Customers, and get all fired up to win some clients from your competitors. Remember that as a Small Business Owner with a careful eye on your pocket, you ALWAYS need to be striving for quality Digital Marketing that resonates with your target market. A huge part of this is making yourself visible to the people who need to connect with a Business like yours. Geotargeting allows you grow your Business in both the financial and geographical sense of the word. If you’re running a barebones PPC campaign then congratulations on taking the first steps, but you need to complete the great work. 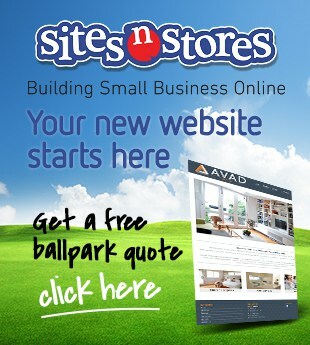 Sites n Stores have helped thousands of Small Businesses through their Digital journey. If you’ve got any questions regarding absolutely anything at all, don’t hesitate to get on the phone.